This is the final day of the Rock’ing for 30 Days challenge. I hit 30 days on Tuesday, but decided to finish out the week. This worked out especially well, as FiveThirtyEight published an article about my journey. This led to supportive tweets and congratulations from friends and family on Facebook. It was the perfect ending to what has been a long month, and made my last day feel like a big event. Several other outlets wrote about the FiveThirtyEight post, including one on Bleacher Report. 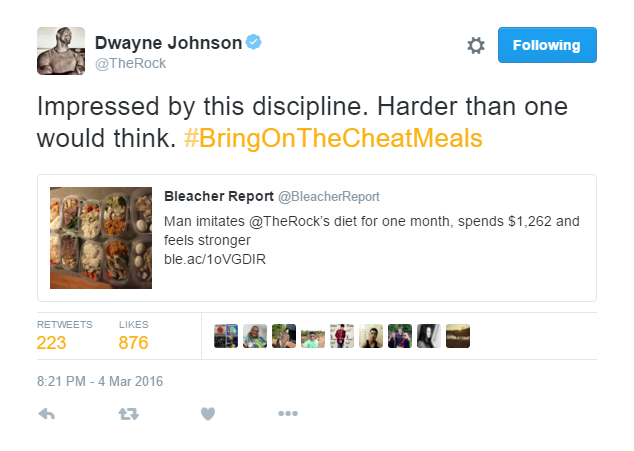 This caught the attention of The Rock, who tweeted this out to his 9 million followers. 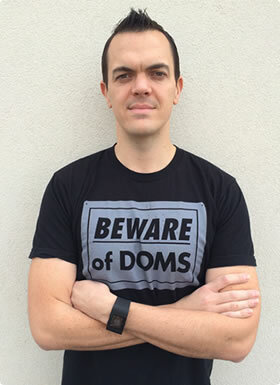 It felt great to have the big man himself acknowledge the discipline this month took. As I’ve mentioned, this entire challenge for me was an exercise in discipline and dedication, not about trying to look like The Rock. It was all about the journey, not the destination. So it was nice to see that’s what he picked up on. We’ve come a long from from two weeks ago when he had his doubts. The article led to a ton of tweets, emails, and Facebook posts congratulating me on finishing. I appreciated every single one, and made sure to respond to everyone who was kind enough to say something. My favorite part of the day though was waking up at 5am to make my oatmeal before heading to the gym, and finding this sitting on the counter waiting for me. My girls surprised me with this in the morning. 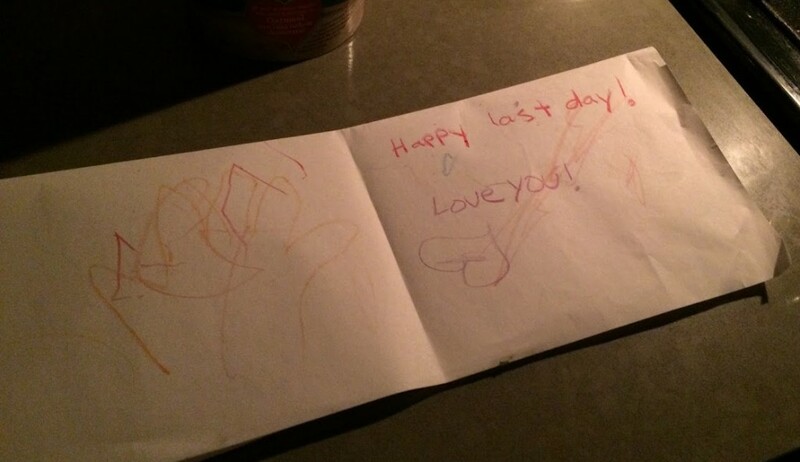 My wife and my daughter made me a card to wish me a great last day. My wife has been supportive throughout this entire challenge, dealing with an overcrowded dishwasher, a busy cafeteria in the kitchen every three days, and a husband who is shoveling food in his mouth around the clock. I’m lucky to have a great partner for such crazy endeavors. Today is my last day, but it’s still the entire day. When I got home from work, I was tempted to be done, and to celebrate a bit. My brother-in-law even asked if I was drinking a beer yet to celebrate. But I had to finish out the day. Taking it easy doesn’t start until the following morning. So I ate my meals, made my eggs, and finished a protein shake before going to sleep. Disciplined to the end.